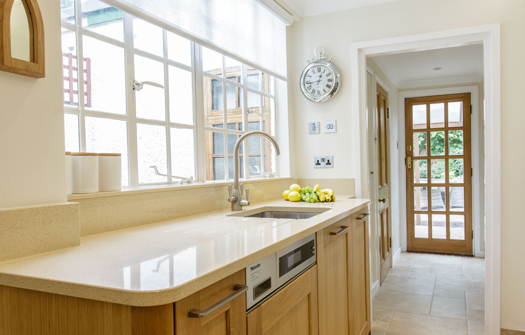 We designed a comforting, traditional country kitchen for this character cottage. 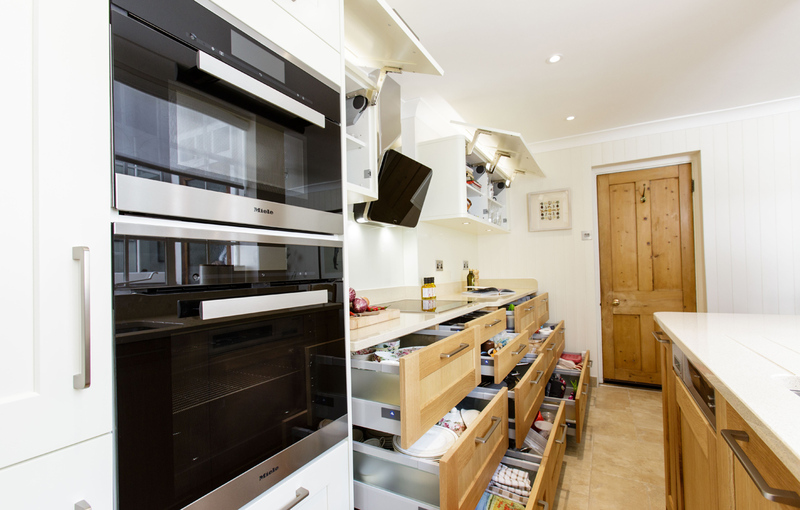 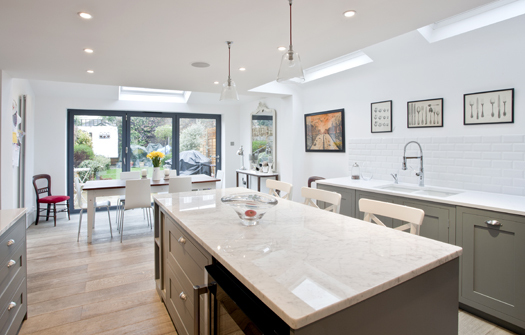 The owner wanted an illusion of space with plenty of worktop areas free from clutter, as well as extra storage, but without having dominating tall cupboards. 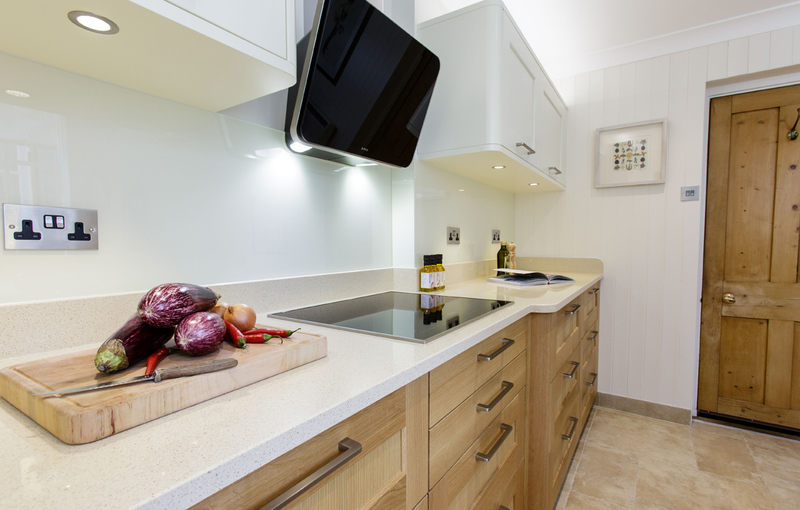 The couple had previous experience of working with Sanctuary when we installed their new bathroom, so they knew they were in safe hands with us. 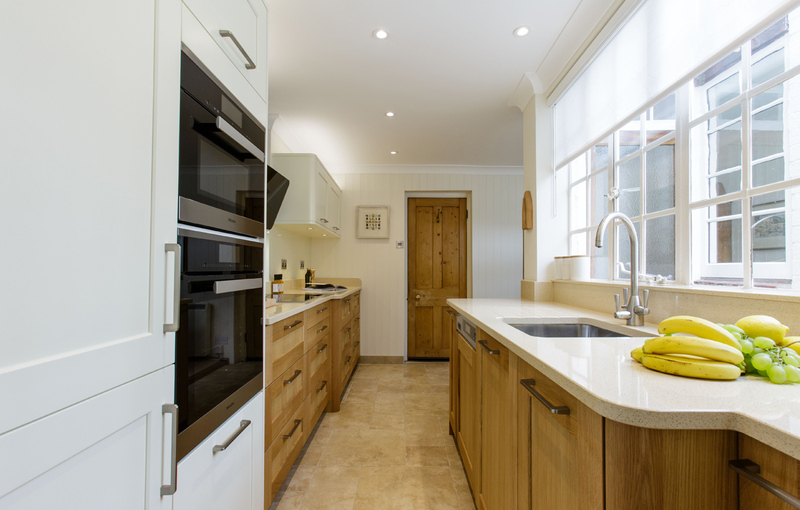 To retain the country feel, we used Shaker style kitchen units from Pyram in warm oak and cream tones to blend with the look and feel of the cottage. 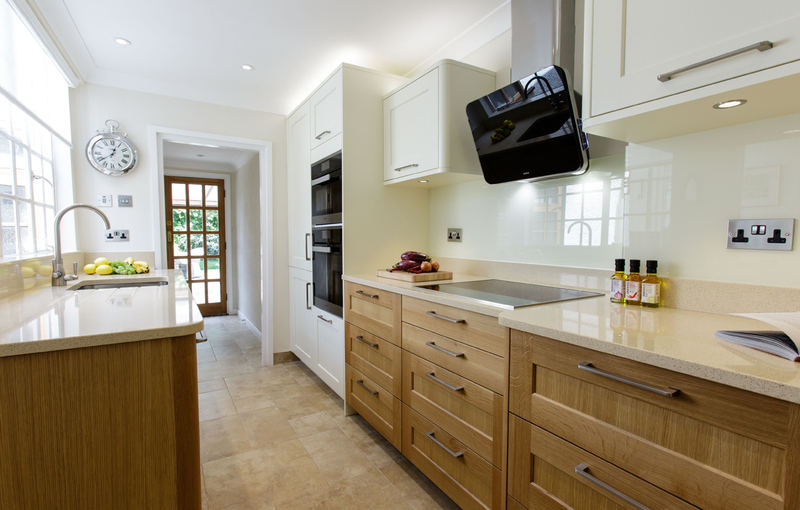 To keep the feeling of light and space, we used cream units on the walls, with a mix of taller cupboards and shorter wall units with an easy lift up mechanism. 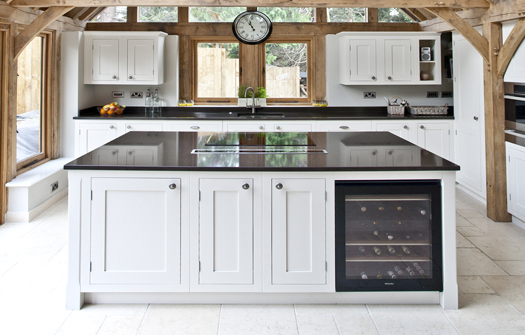 We used oak base units to form the foundation of this classic kitchen design, with plenty of pull-out drawers which give easy reach to store and organise everything. 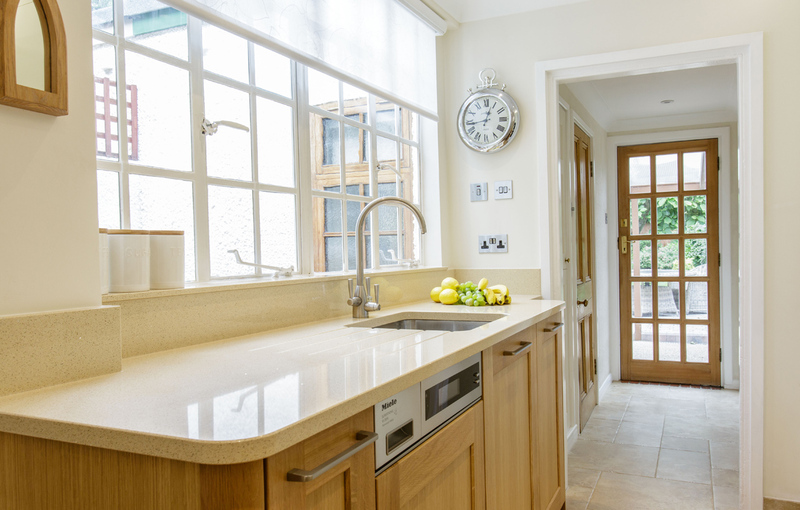 To finish it off, we installed a Cimstone quartz worktop with a slight sparkle to give added shine to the cosy kitchen.